Too often, we publish annual reports that are too long, too full of data people don’t want or need, and not focused enough on how giving impacts mission or people and communities served. Donors, volunteers, grant makers, and other key stakeholders want to know the results of your work, but they also want to know that their investments make meaningful change in real people’s lives. During this webinar recording we will show you how to craft an annual report that will inspire and engage your donors. You’re tired of writing a 15-page+ annual report every year. You want an update about best practices in annual reporting. "Last year I completed my first annual report. How I wish I would have taken this webinar prior to that! So super helpful and enjoyable, I will definitely be applying what I learned to next year's report. Thank you Heather!" "Extremely valuable, loaded with tools, and concrete recommendations. Thank you!" 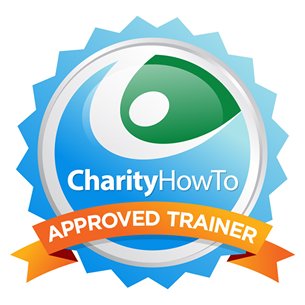 "I so appreciate Charity How To and the presenters thinking through an all aspects of Development work. Few of us have the time to put together a really powerful Annual Report let alone think about the process and components -- but we should and I feel like you've motivated me to do so!" "Really good with good examples and illustrations." "I wrote my first annual report earlier this year within 4 weeks of coming on-board as my non-profit's marketing specialist. Talk about trial by fire! I had to figure out most things on my own, with very sporadic guidance, and few prior examples. So I was excited to hear of this webinar. It has helped me so much in understanding what I did, what I shouldn't have done, and how to get ahead of things and create something fresh, engaging and SIMPLE. Thank you so much for this content. I can't wait to start!!" "This is a great session for people tackling their first annual report and the opportunity to have a 1:1 consultation after the session is very helpful. Thank you." "The webinar equipped me with both the fundamentals and the inspiration for creating a succinct and engaging Annual Report for my organization." "This webinar was very informative regarding Annual Reports. I created the first annual report of our organization last year (Est. 2006) and it was well received. As I am working on the AR for 2015, there are ways I've learned to improve our report and confirmation received for ways I presented the previous report. Thank you." Does your nonprofit publish an annual report? Is your annual report more than 10 pages long and takes months to prepare? Do you feel your nonprofit is behind the times with the way it presents information in the annual report? If you answered “yes” to those questions, view our webinar recording on “How to Create an Annual Report Infographic” to learn how to use today’s digital publication trends to your advantage. Learn the how-to’s of annual report development within the infographic framework. Use the tips and tools you learn in this webinar to engage and inspire your donors. You want to make creating an annual report easier, faster, and a more enjoyable experience for you. You are ready to transition your annual report to an infographic.